Construction, Defence, Flood Restoration, Injection molding, Plastics and more..
Dry out interior linings. 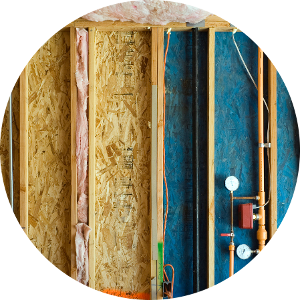 Air Solutions provide portable dehumidifiers to efficiently extract water, dry flooring and walls, and timber. Dry time will vary depending on the moisture content of the house and how tight the building is. Multiple units may be used for larger houses or faster drying times. Fans can also be used to circulate the air and thus help with the drying process. A dry environment stops corrosion, reduces electronic failures and the forming of mould and fungus and maintains the right mechanical properties of stored materials. With ammunition it is important to prevent unwanted chemical reactions to ensure optimal shelf-life. Air Solutions provides dehumidification equipment to preserve defence assets. Air Solutions are the established supplier for all dehumidification equipment for the New Zealand Defence Force. Air Solutions has a large range of portable dehumidifiers perfect for carpet drying and flood restoration work drawing out moisture from carpet, underlay, walls, sub-floor, building structure and furnishings. The units are available in a variety of moisture removal capacities so you can easily select the perfect unit for your drying needs. PREVENT CONDENSATION DURING INJECTION MOLDING. Most molding processes refrigerate by using cold air to lower mold temperatures in order to reduce manufacturing times and increase production volumes. Basically, the colder the mold, the quicker the manufacturing cycle becomes. However, operating at low refrigeration temperatures can cause condensation problems in the mold, especially in summer, which can result in deformations in end products. To prevent condensation, Air Solutions provide low dew point dry air. This dry air has a dew point below the mold surface temperature and is supplied into the molding chamber to surround the mold.